Roost hunting or Run N Gun hunting, both very effective! Gobbling turkeys coming into the decoys! This is why we turkey hunt right here! The hens get to yelping and making noise, and the turkeys are gobbling loud! The guys are hunting turkeys with their shotguns! 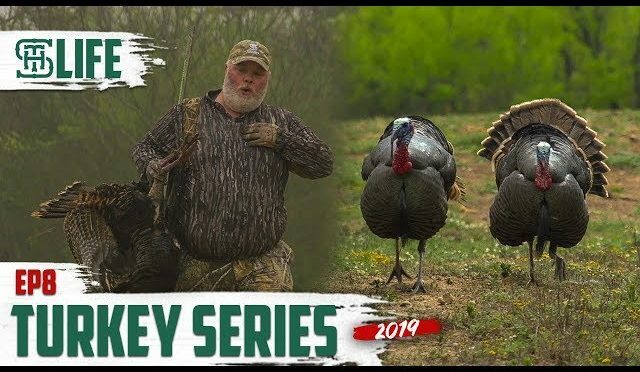 Hunting with the Smalltown blend Apex ammunition is allowing us to hunt turkeys with our 20 gauge shotguns and shoot turkeys at farther distances! Right off the roost Keith Burgess has a gobbler coming down the road behind a few hens. After he serves the crew some hot breakfast, he heads out with Chris Ashley and they get into a mess of gobblers at 4 yards!  If you liked this video give us a thumbs up and leave us a comment!  Hit that share button to send this video to your friends! For updates in the field, giveaways, and lots more be sure to follow us on social! We also stream on Roku, Waypoint TV, Hunt Channel, Sportsman Channel, and local Mississippi broadcast stations throughout the state.